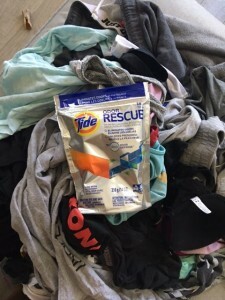 I was recently sent the Tide + Downy Odor Defense Collection to try out! When the bag was delivered to my house I quickly opened it up to reveal the Tide + Downy Odor Defense Collection. What an awesome idea! Finally a collection of odor defence laundry pods and beads specifically designed to fight gym smells! 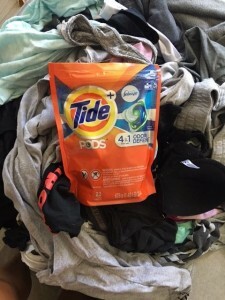 The Tide + Downy Odor Defense Collection has been designed to “remove odors at the source so odors don’t come back, wash after wash.” They have the added power of Febreze, which is supposed to break down built-in odors and layers of body soil and dinge, which can lead to odor issues over time. In addition, Downy Fresh Protect with Febreze Odor Defense infuses your laundry with motion-activated technology to neutralize odors for 24 hour odor protection while you move throughout your day! I was particularly excited because as most of you reading this know that I practically live in the gym. I train athletes, business men and women, fitness enthusiasts, fitness rookies and run transformation programs. I also train myself up to 3x a day. Not only am I training but I train intensely with 1x strength training session and 2x a day intense cardio. So you can imagine just how much I sweat when I am working out that hard. Fabrics that I wear when I train include neoprene, elastane, spandex and moisture wicking blends. We all know that these hold smells and sometimes they are hard to get out! I basically living and breathing in gym clothes day and and day out you can probably imagine how many times a day that I normally have to change my clothes due to sweat, dirt and smell. I sometimes go through three or more outfits. And how many loads of laundry that I have to do! I was in desperate need for an elevated laundry regime. You don’t realize how dirty your clothes actually are until the “rebloom” happens (either during the workout or while resting in your gym clothes, when you least expect it). What a difference the Tide + Downy made for me and my laundry. 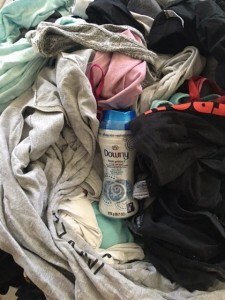 I used the Tide + Downy Odor Defense Collection every time I did laundry for an entire week. 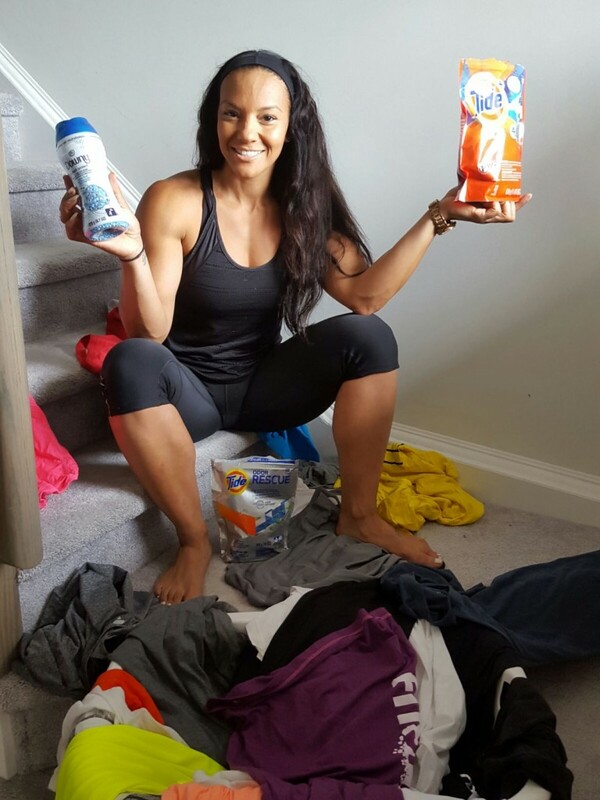 I was blown away by the difference in smell, the freshness and the softness of my favorite go to gym clothes! Even my regular clients commented on my freshness (not that I was that bad before) but the smell of fresh laundry due to the infused febreeze is noticeably different with the Tide + Downy Odor Defense Collection. I didn’t have to change as often as I use to and the odors were definitely neutralized.